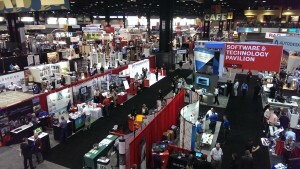 The AIA Convention 2014 was held in Chicago on June 26th – 28th, with nearly 20,000 attendees. From Wednesday to Saturday it was packed with events and workshops with some impressive keynote speakers. 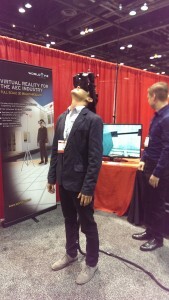 One of our Architectural interns attended the AIA Convention this year. Peter Kao who started with Bancroft in February of 2013, works as a Summer/Winter intern and will be graduating from UIUC in May 2015 with his Masters in Architecture. The most valuable experience was hanging out with my architecture friends, meeting up with some of my old TA’s from undergrad, and seeing a few professors throughout the weekend, at the UIUC alumni event, and AIA Party! at the art institute. My favorite memory was just discussing th e future role of libraries after we attended one of the booth lectures. Informal yet important. I was interested in spending time at the lectures: Keynotes Jeanne Gang, Theaster Gates, and the Day 2 resiliency keynote panel. The smaller lectures were just as important because I tried to attend topics that I normally don’t think about on a daily basis such as: tall buildings diagrids, young architects owning a firm, ETFE structures, and the 21st century library just to name a few. The exposition center was set up with mostly vendors that I wasn’t too interested in this time around. However, wandering around I did find very friendly people to talk to, some cool software, virtual reality headsets, the largest commercial fan I’ve ever seen, academic projects pinned up.